Coming out of the closet is seldom easy. Just ask DJ Big Kid (otherwise known as Johnson Ong), a prominent name at dance parties across Asia. 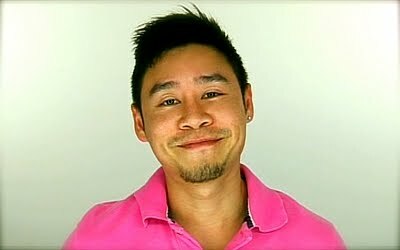 Big Kid is Singaporean, gay, and closeted to his family. In fact, this story might be his way of leaving the proverbial doors open for future conversations with his loved ones. “I grew up in an environment where I was told being gay is wrong; that I needed to cast out the demons,” he said. He suspects some members of his family might be aware of his sexual orientation. But so far, none of them have confronted him. He’s pretty certain that this same dynamic applies to many gay Singaporeans – a code of ‘don’t ask don’t tell’ within families, so as to avoid difficult conversations. As a country, we think of ‘family’ as being core to our values, yet the idea of having an LGBT family member would be unfathomable for most Singaporean families. Hence, we dodge, pretend and avoid, so as to maintain harmony, Big Kid said. He recounts the story of a friend, J, who fell ill and had to be hospitalised. J is gay and was, at the time, not out to his family. J’s partner had alerted J’s family about the situation, and he would, subsequently, continue to provide regular updates to J’s mother about the condition of J’s health. The way in which J’s family had managed the situation stuck with Big Kid because it exemplified what he perceived to be a particularly “Asian” approach of tiptoeing around the elephant in the room. Everyone in the family knew what was going on between J and his partner but no one would talk about it, he said. For Big Kid, the story reflects the way in which most Singapore families might manage and accept the presence of an LGBT member: “quiet acknowledgement”. However, he believes that family relationships will be stronger when family members communicate more openly – “So that they can be the ones you turn to,” he said. Coming up next: Adrian Pang and more!